How well do we know our banks? It’s your bank. You see it. Walk by it. Use the cash machine. Get a loan. But is your bank paying taxes to your government, just as you do? Does your bank report on its profits or on how many staff it employs? In short, is your bank contributing to your community and your economy? The answer is: maybe. But there is a lot we don’t know, which screams out for a better answer. Of the world’s 24 largest financial institutions we looked at in 2012, only about 2 per cent reported basic profit and loss information for every country they worked in on their main website. A poor showing, and, as a sector, weaker than many other sectors we looked at. In the past week, there is some better news for those of us concerned about banks and their role in our societies. First, the EU agreed to cap bonuses at their base salary, with shareholders able to double them. This goes a long way to tackling the wrong incentives that help drive banking behaviour to the brink in 2008, precipitating the crisis. 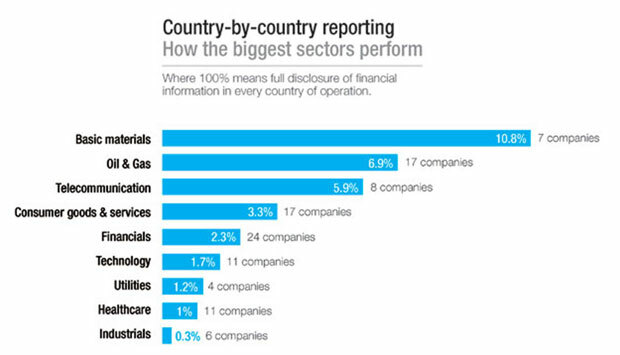 Second, the EU committed financial institutions to disclose key elements of their profit and loss information, including taxes and staff numbers, on a country by country basis. Banks took a bad rap in the wake of the financial crisis. The general view was that lack of integrity and transparency led to some very misled investment advice, with risk and consequences pushed on to consumers. Average folks lost their homes. The knock on cost millions of jobs, as credit and investment opportunities dried up. These very same banks harboured the proceeds of crime, including corruption. Sports cars belonging to the son of Equatorial Guinea president Obiang are confiscated as part of corruption investigations in Paris. At first citizens bailed out the banks, with their tax money. Most reluctantly agreed that we needed to fix the financial system. An opaque, complicated global system of banks, credit raters, regulators. There was some hope that government would change things for the better. First the G20 leaders took on this agenda, promising a better way forward in bank regulation. We would find out more about who owned which bank accounts. We’d make sure banks did not lend more than they should. For many, however, this did not go far enough – and arguably momentum got lost as the banks recovered and got back to business. In future, the way our executives are paid may be less likely to drive non-transparent corporate practices. In future, you’ll be able to know how your bank contributes to the tax base where you live. This matters for a whole number of reasons. Changing reward structures for risk may foster a more sustainable approach to economic growth. The private sector plays a critical role in any society, creating jobs and wealth that help us build our future. Beyond this function, they benefit from the society at large. Most people would agree they need to contribute. Our report showed that greater transparency is now a trend in other sectors, such as oil, gas and mining, with no turning back. Banks are critical. We need them to follow the transparency trend. It’s crucial to a strong economic future.